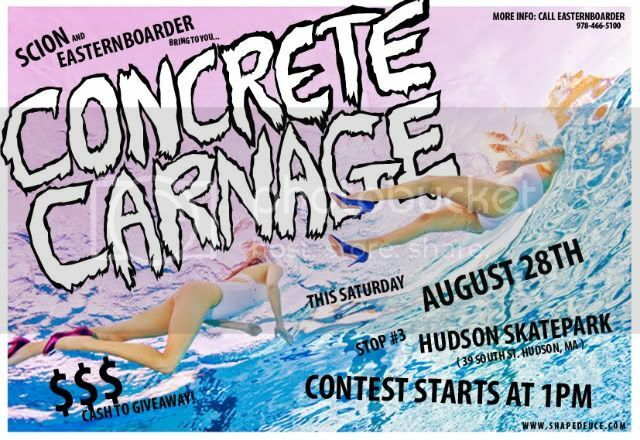 The weather looks like it's going to clear up and be nice this weekend for the third stop on the Concrete Carnage Contest Series at the Hudson Skatepark. We will be clearing the Juggalos out of the park and reclaiming it in the name of skateboarding. Hudson Park is fun (check out the video below) and don't forget there is CASH up for grabs.